Last Friday was like Christmas for musky addicts. Finally we can get out on the Ottawa and hunt. Yipeeeee! Unfortunately for a lot of people the river didn’t look anything like they have ever seen on opening day before. It is high, brown, only 61 degrees, and there are NO weeds on 90 percent of the beds. Top that off with schizophrenic weather that leaves you sweating, freezing, or soaked to the bone through your Gore-Tex as well. What do you do? My guest Claude from Switzerland got his first musky ever on Friday. I was grateful for the one fish as we searched for signs of green anywhere of the big river. Only 2 boats out of 7 that I polled put muskies in the boat. That’s tough. Interestingly the one fish we did get came on the afternoon minor. It hit 3 minutes after the moon peak. Coincidence? Read on…..
Saturday brought some much needed sunshine and in the afternoon, after the water in the bay we were fishing in warmed up to 65+ the muskies got active. We boated 3 that afternoon up to 42 inches. Another key to our success is we were in the best coontail bed we had found in over 20 kilometers of the river. After a lapse in the action we boated the 4th fish of the day and this one came less than 5 minutes from the minor moon peak again for the second day in a row. Coincidence? Nope, not in my world. Using the moon to catch muskies is an essential tool our arsenal. If a peak works one day you absolutely need to be on a spot where you know there are fish the following day. There is a good chance you will score again and in stable weather you may be able to ride this peak every day for 4 or 5 days. The first pic is of a fish with a transmitter in it from Project Noble Beast 3 years ago. I removed it and will report the associated flow tag number to Sean Landsman along with the fish’s’ specs. The green line that looks like a weed hanging on the front of the fish is the rubberized antenna from the transmitter. 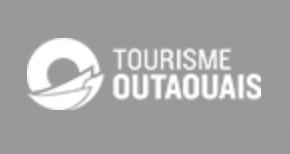 Check out http://www.projectnoblebeast.blogspot.ca/ to learn more about the cutting edge fishing science that goes on right here in Ottawa. The second pic is German writer Hendrik Breuer with his first ever musky. It hit a PDeez Inline and left Henrik out of breath with excitement when we finally put her in the net. Check out Hendrik’s fine travel and outdoors pics and articles at http://www.hendrikbreuer.com/ . The forecast for the coming week is warm weather. The fish should go bigtime this weekend as they and we have been waiting for some sunshine. Make sure you get out there! Like the Factory on FB and stay tuned for another update later in the week. 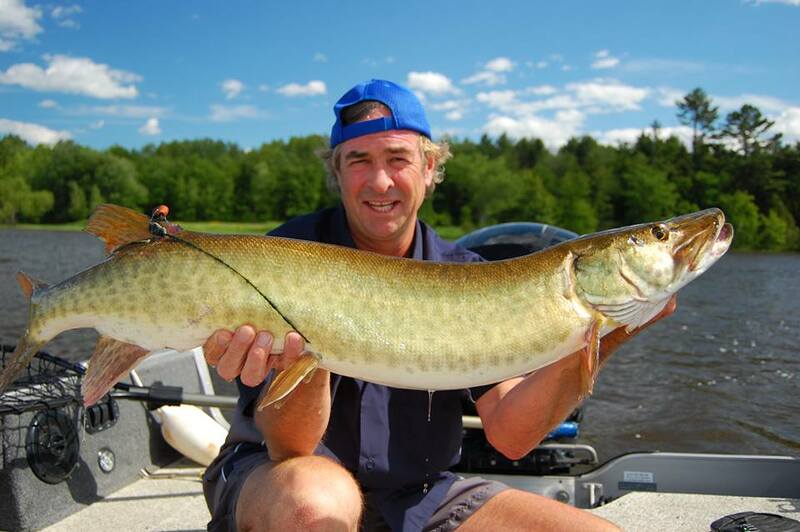 ← Monster Musky Alert Already!